I’ve previously written about the rich Jazz scene in Scandinavia, and particularly about Tord Gustavsen, reviewing his album The Ground here. Gustavsen’s trio has a very particular style, minimal, melodic, and fascinating. So I was very excited when I saw that Gustavsen’s latest album was just released, and thanks to ECM finally allowing streaming, I could sample it immediately. I wasn’t a universal fan of some of the albums Gustavsen released in the last years, but with his latest album, I’m fully back on board! The first thing you notice is the cover art, while still in the typical ECM abstract art style, they’ve changed from the dark blue tones of most of the former albums to a bright orange. Does this mean the music is more orange as well? Well, actually not. This is very typical Gustavsen style, very much reminding me of what I liked so much about The Ground. Let’s take as an example urack 3 of the album, Re-Melt. It starts with a syncopated rhythm by Jarle Vespestad on drums, and Sigurd Hole on bass. Gustavsen joins a bit later, weaving a beautiful, subdued melody over the rhythm. None of the music on this album is ever over the top, but it will always be one thing: very atmospheric. It always just unfolds slowly, over time. 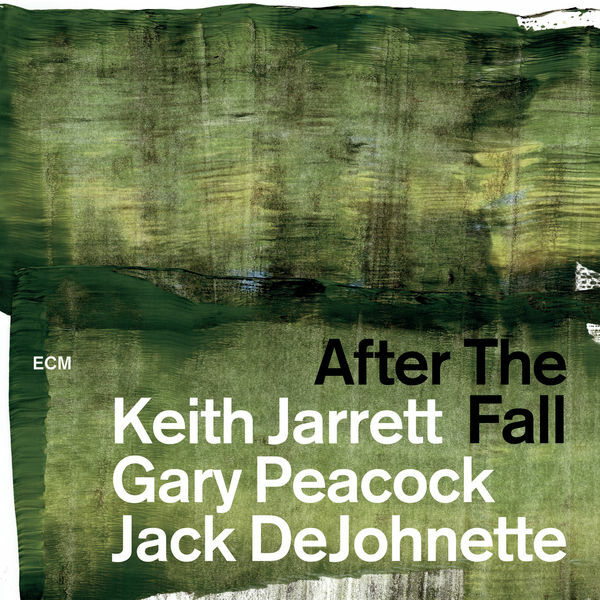 Recording quality, as usual on ECM, is very good, actually in this particular case it is again quite spectacular. Check out this album. It may not be for everyone, but if you like this minimalist Nordics style, you really should not hold back! Just a quick intro here paraphrasing one of my favorite Oscar Peterson album titles: I get contacted quite regularly to review albums. I usually check out what I receive when it sounds interesting, but so far I’ve never received anything for review that was musically interesting enough for me to write about. Given that this is my personal blog and I don’t intend to make any money of this (as a matter of fact, this thing is even costing me a bit of money every year to maintain). This nicely gives me the opportunity to write about only music I care about, one way or another. I must admit I had never heard of him before, shame on me, but even if you care about the Jazz Piano Trio like me, it is really hard these days to keep track. In a nutshell, Søren with his trio is based in Denmark, and plays with Kasper Tagel on bass and Anders Mogensen on drums. So what do you get? Let me put it in the Amazon way: Customers who bought this also bought…. Basically, if you like Keith Jarrett´s trio, and the nordic trios in particular in the style of Tord Gustavsen, you need to check this out. You get beautiful, dreamy ballads like Floating (that the cover picture really represents well), but you also get slightly more uptempo pieces like A Simple Song. It really always stays very Scandinavian (although I always thought Denmark was different to Sweden and Norway, but here you find a lot of commonalities). And all of this, not surprisingly given the recording venue & personnel, is very well recorded. My rating: 4 stars. Definitely worth checking out. This must have been the longest time between blog posts ever, and I don’t feel good about this. My only excuse is work (my day job), I’m traveling more than ever including some intercontinential trips (actually, I’m writing this from an airport lounge) and free time was pretty much down to zero. It doesn’t look like it’s going to get better any time soon, but I still hope I’ll be able to write my weekly blog post (there is more than enough material and notes in my Evernote account). I’m a big fan of Norvegian pianist Helge Lien. His trio albums Natsukashii and Hello Troll feature regularly in my playlists, and I’ve given a 4 star review to his previous album Badgers and Other Beings. So when his latest trio album came out, I was naturally very interested, as a matter of fact, I bought it in less than a day after it came out (I still buy albums, digitally, in spite of also subscribing to streaming, to ensure that artists make at least some money from their art). I really didn’t have to hesitate a long time because the album is truly outstanding. It is probably my favorite since Hello Troll. You get Scandinavian lyricism combined with often extremely complex rhythms. And even peaceful ballads like Shitoshito (Raining Quietly) get their share of chordal shifts and interesting rhythmic breaks. Lien plays with his usual companions, Frode Berg on bass, and Per Oddvar Johansen on drums, and you can really hear the intimate connections between the musicians all the time, they truly melt into one common instrument. Add to this that the recording quality of this album is outstanding, as produced again with recording Engineer Jan Erik Kongshaug at the brilliant Oslo Rainbow studio, this album really cannot be recommended higher if you like Scandinavian trio jazz, or actually trio jazz in general.